FOOTBALL — Uganda Cranes victory over South Sudan was never in doubt. What the match had to confirm over the 90 minutes was rather the scoreline. Yet while many could read through the result. Even before kickoff no me could have imagined the unlikely hero at StarTimes Stadium Lugogo: Paul Mucureezi. Cranes steamrolled their northern opponents leaving the hapless visitors counting their fingers to be sure of the score. 5-1. They had come hoping for an upset. Forward Paul Muceerezi grabbed an unlikely four goals while KCCA FC teammate Derrick Nsmbabi got the other in a crucial victory that was more than enough to seal Uganda’s progression to the last qualification phase against bitter rivals Rwanda. Leon Khamis Uso scored the consolation goal for the visitors in the dying embers of the game. 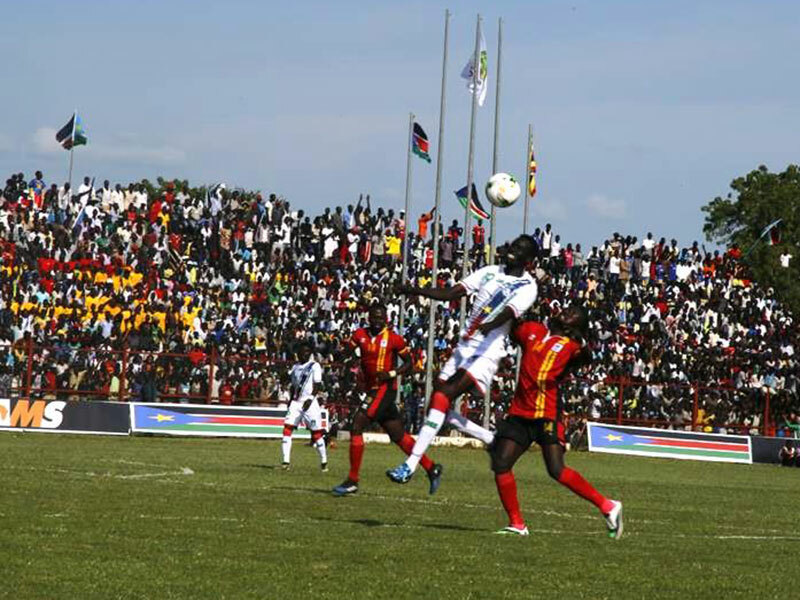 South Sudan held a wasteful Cranes side in drab goalless stalemate at their own Juba National Stadium last weekend, and approached the return leg in the knowledge that a scoring draw would see them through, but on reflection on the outcomes of the one-sided encounter, Cranes were scheming something sinister for the hard-nosed Sudanese. There was no sympathy card from Milutin Micho Sredojevic’s stooges like it is wont to happen in security situations when UPDF intervene with incursions into South Sudan. Instead, guns were blazing. The gulf in class between 74th Fifa ranked Uganda and 143th South Sudanese was palpable from the onset with the a lively Derrick Nsimbabi attacking the clueless South Sudan backline at full throttle. Nsimbabi later capitalized on some sloppy defending as his marker failed to track him down to head Uganda into a deserved lead from Captain Nicholas Wadada’s inviting cross. If there were any questions on why Micho preferred the novice in Paul Mucureezi instead of a tried-and-tested Geoffery Sserunkuma to replace Nsimbabi, the answer couldn’t have certain in a more subtle and scintilating manner. Mucureezi’s astute movement and the audacity to bully his markers with lightning pace brought a whole new dimension into the game. His pace allowed him to latch on a through ball and slotted low past on-rushing goalie Khamis to give the scoreline a more respectable meaning in light of the host’s dominance. The attacker returned for the second half where he had left off, running the show with incredible three more goals in the 12 minutes. Subs: Saidi Keni (GK), Paul Musamali, Nicholas Kasozi, Geoffrey Serunkuma. South Sudan Starting XI: Khemis Daniel, Yassir Khemis, Salah Abubakare, Abudu Awad Lemi, Omot James Sebit, Chol Peter Bentiu, Wurube Robert Lopodia , Sebit Ajak, Daniel Boki Oliver, Khemis Leon, James Jospeh Moga. Subs: Robert Jospeh, James Anei, John Albino Ajak, Farouq Tajal Mohammad, Stephen John Samson, Jospeh Celestino Ayuru.